Ann Appel is a resident of Fairfield, New Jersey. Ann received her real estate license in 2008 when she was sponsored by a Century 21 office in West Orange, NJ. After a brief time with them, she moved to ERA Rizzo Realty in Fairfield. Ann hung her license at Century 21 Wessex several years ago and has been a valuable asset to our team since. She has always had an interest in real estate since she was 22 when she bought her first home. Ann is an accountant and holds a BA in Business Administration. 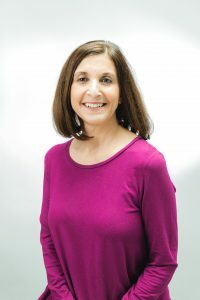 When she is not in the office or with her clients Ms. Appel enjoys reading, decorating, walking, doing yoga, and spending time with her family and friends. As Ann puts it, “I am a hard worker and am motivated and conscientious. It would be my honor to put these skills to the test to get my clients into the home of their dreams…” If you are looking for a realtor with these qualities and goals , contact Ann. She looks forward to working with you on any of your future real estate needs!